It is Saturday again. As you know PTPI Skopje took care for you to have company while you drink your first coffee. In this week's coffee break we have Rawan Emad from Sadat City - Egypt. Let the taste of hot coffee take you under the hot sun beside the pyramids in Egypt. 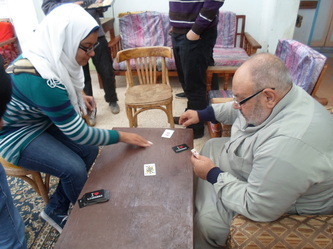 Rawan is writing to us about the activities in her chapter- PTPI Sadat Peace Keepers. She wants to be surgeon and to help other people. One of the main reasons why she joined her local PTPI Chapter is that she learned how to cooperate with other groups of people for the benefit of others. 1. Tell us something about you briefly. My name is Rawan Emad. I am a 16 year old high school student. I live in Sadat City, Egypt. I've been volunteering in PTPI since 2010 till now. I was elected as a vice president 2011-2012 and a sister chapter coordinator 2011-2012. I want to be a heart surgeon. Helping poor and sick people is my passion . I want to make a change in this world and to impact people's lives. I love volunteering inside and outside my country. I am interested in seeking better way of living for people in this world. I have other activities beside PTPI which support human rights and freedom of youth. I m a debater in Young Arab Voices (supported by Anna Lindh). My dream in this world is that we will all cooperate for the benefit of our people and our world. I want to inspire people to be better and to have a better life. I wish I can draw smiles on others' faces and to make them really happy. 2. What chapter are you currently member in ? How do you like the atmosphere in your chapter? I am a member in Sadat City Peace Keepers chapter, Egypt. In my chapter, we work hard and we have fun. We don’t want no one to get bored while doing a project so we do it with FUN. It makes all members even more excited to take part in every single project. Also we have that new system in our chapter where we are divided to groups. Each group works with an officer. One group is consisted of 4 or 5 members maximum including the officer so everyone have an opportunity to participate and share his thoughts and be active. In Sadat City Peace Keepers chapter, we are more close friends than just members in a group. 3.Can you tell us something more about the current projects you have in your chapter? 4.What changes has PTPI brought in your life? PTPI changed a lot in me actually. I joined PTPI 3 years ago and I can see myself now as another person. PTPI taught me how to give people without thinking about your own benefit. I knew that this world is very small and that people living in it should cooperate and make it a better world. I hope that I will change the world starting with my own city then my own country. Also, I learnt that people are very similar in this world; they have the same needs and interests...whatever their nationality, religion and colour are .It encouraged me to fulfil my dream to help as many people as I can in my life. I started to change my life dream so it would benefit others more than me. 5.Have you been given the opportunity to travel via PTPI programs? How would you describe this experience ? 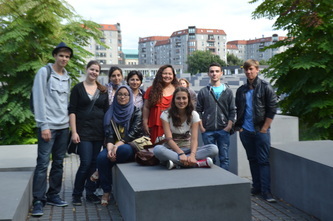 Yes, I have been given the chance to travel to Berlin European Youth Forum 2012. I can simply say it was the experience of a life time .We applied to EYF and we had this project we did with the seniors' house here. We exchanged our projects and difficulties and we faced the benefits we got from our experiences. I had some great ideas which I can apply in my chapter. 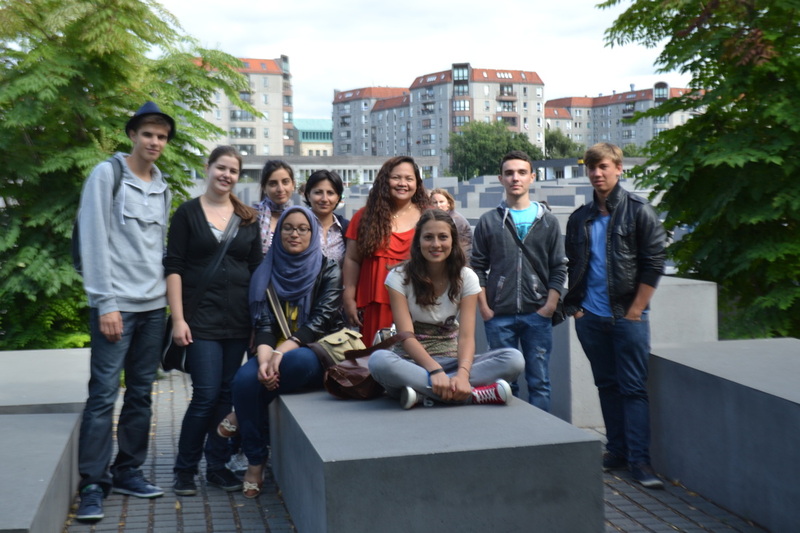 I learnt A LOT about different cultures and traditions of other countries. I made some great friendships with other members in PTPI chapters. I even had this chance to have the Albanian chapter as our sister chapter. I have learnt a lot about different countries and I found we had many things in common. I am still contacting some of the participants in EYE 2012 and I am sure we can have a joint project or even to meet somewhere again. 6.What would you recommend to the youth that are still thinking whether to be part of a local PTPI Chapter or not? I will tell them... GO FOR IT! Join your local PTPI chapter. It will change your life as it did to me . It will affect your social life greatly and teach you how to cooperate with group of people for others' benefits . It will help you to get more confident, whatever your age is and you will be inspired to make a difference and change your community.